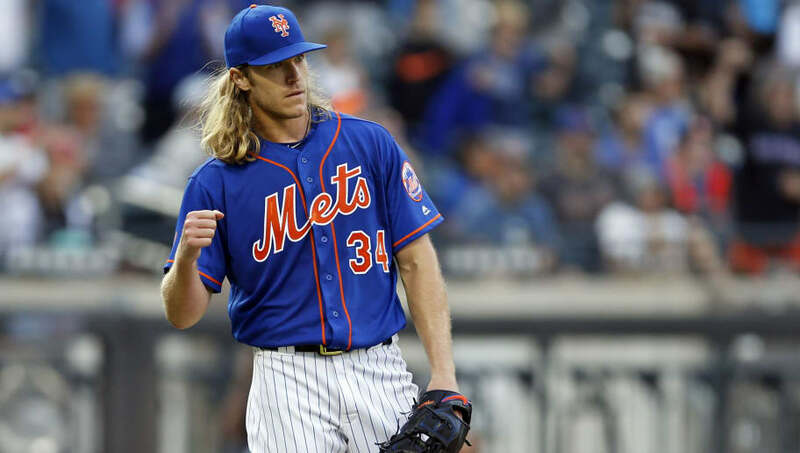 The New York Mets had been engaging in trade talks with multiple teams about star pitcher ​Noah Syndergaard. However, the team now seems to have changed its mind, intending to keep him, barring any offer that blows them away. The #Mets say they expect Noah Syndergaard to stay with the team. They'd have to get pieces back to fill holes in their lineup in 2019 to even consider a trade. They will not trade him strictly for prospects. This news came from the team's press conference on Tuesday that introduced Robinson Cano and Edwin Diaz after the blockbuster trade with the Mariners. ​​Frankly, it doesn't make much sense for the Mets to trade Syndergaard, especially after acquiring Cano and Diaz. If the team intends to win, having Syndergaard in the rotation with Jacob deGrom, Zack Wheeler and Steven Matz probably gives them the best chance. ​​While the Mets reportedly talked to the Cleveland Indians about trading for ​Corey Kluber, Syndergaard has a higher ceiling and is younger. Still, imagine if the Mets traded for Kluber without having to lose anyone else in their rotation. He'd probably be their third starter! The Mets should be focusing on getting one or two more bullpen arms and at least one more big bat, preferably for the outfield. One thing they probably won't have to worry about is starting pitching.